I originally went to the Miu Miu consignment at Lafayette to check out their new bow pumps. 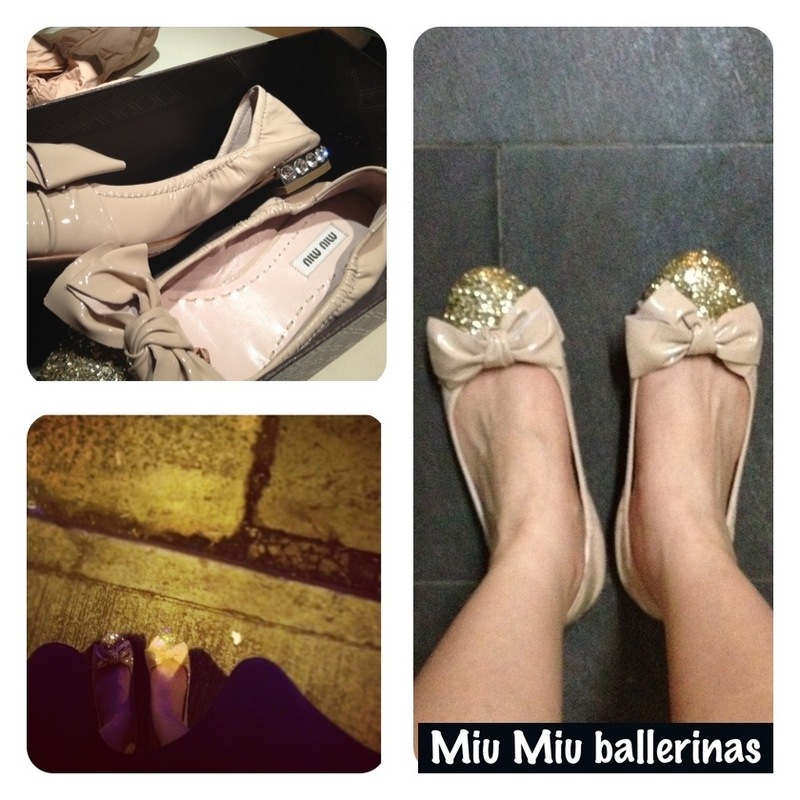 But then my eyes fell upon these Miu Miu embellished ballerinas with crystal heels and I immediately fell in love. Who wouldn’t? They are pink, they glitter, they sparkle and they have a pretty bow. They completely appealed to my inner (or not so inner?) fairy tale princess! Initially I thought the crystal heels impractical, and imagined how heartbroken I’d be if they fell off (I’m not the most light-footed of people). But I haven’t been able to get them out of my mind since I saw my friend’s pair of bejeweled Miu Miu heels on a night out. They looked so glam and comfortable! At one point, I did valiantly put them down and took a walk around the shoe floor to cool my head. They won’t exactly go with my edgy going out outfits, and they’re a bit too sparkly for casual wear. The sparkles are already falling off and I’d likely lose a crystal at some point. Did you used to have a fashion blog while you were in university called ‘I am Fashion’? I have a fashion blog too.